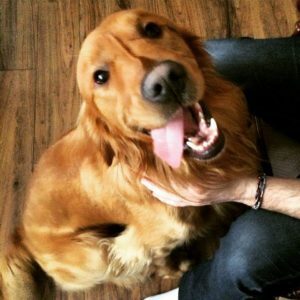 Additional Notes: Ruckus is a 5 year old, Male Golden Retriever. He has been know to roam. The door of our house didnt close all the way and Ruckus was able to get out without us knowing. He is a very friendly and loving dog. He would trust anyone. He was last spotted on Summerside Bayfield Road. This is typically where we always find him.